Home.. Family.. Food.. Travel.. Books.. Friends.. things I love! I recently finished reading this historical novel by Christian author, Lynn Austin. 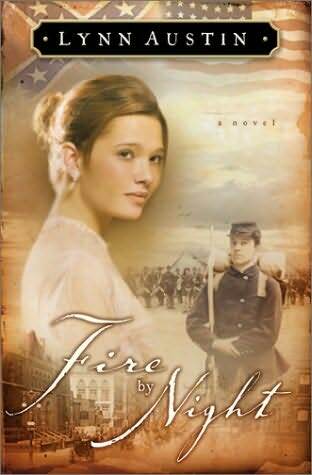 This one was set during the American Civil War, and is book number two in her “Refiner’s Fire” series. I really enjoyed this novel and even learned some new facts about the Civil War in the process. It follows the stories of two young women – both doing what they can to help the war effort. One ignores her “society” upbringing in Pennsylvania and becomes a nurse, one follows what she knows she can do best, and joins the Union Army disguised as a man. One might think this premise sounds a little “corny”, but trust me, it’s not. Lynn Austin is my favorite Christian author for a reason. Her novels are not sugarcoated and shallow. This was a very interesting and realistic book that entirely kept my attention. If you like historical fiction, with a twist of Christianity (not shoved down your throat, but brought up at appropriate, thoughtful times), then I guarantee you’ll enjoy this book. I also very much enjoyed book one in this series, Candle in the Darkness. At some point, I’ll have to read book three, A Light to my Path. This entry was posted in Books 2015 and tagged books, Christian fiction, Civil War, historical novel, Lynn Austin. Bookmark the permalink.